Drum roll please! 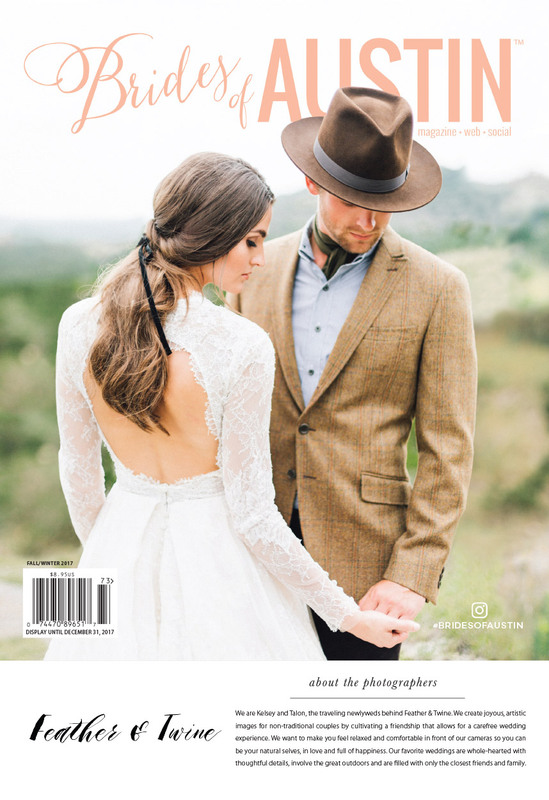 We’ve been sharing sneak peeks of what you’ll find in the pages of the all-new Brides of Austin issue over the last week, and we are beyond thrilled to finally reveal the stunning new cover! This issue took us to Hill Country for what would become a wildly romantic editorial shoot featuring stylish wedding wears for the bride and groom. With a collection of talented Austin vendors attached to everything from the hair and makeup and florals to the stunning gowns and menswear, we knew we had a winner for Fall/Winter 2017 cover. The model bride is breathtaking in her Monique Lhuillier ‘Winslet’ gown from Julian Gold Bridal. A mid-century diamond engagement ring and gold plunge drop necklace from The Menagerie and hair and makeup from Jessica Roop Beauty & Boudoir completed her look. The dapper groom was dressed in a crossly tweed jacket, black and white stripe shirt, olive green cotton cravat, brown corduroy trousers, lemuel boot tweed and leather boot accompanied by a handcrafted fedora all from Bykowski Tailor & Garb. Be sure to check out the entire editorial starting on page 62 when the new issue drops. 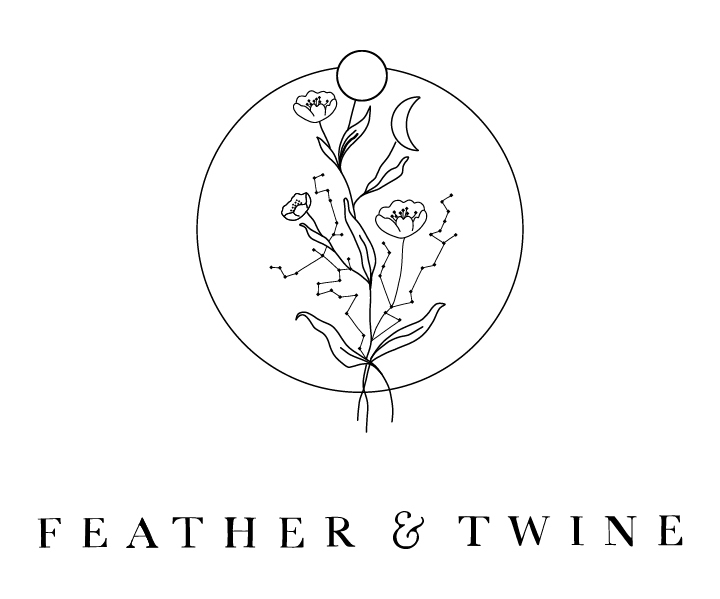 Congrats to Feather & Twine for capturing this jaw-dropping cover shot! Make plans to pick up a copy of the new issue when it hits newsstands later this month or be one of the first to get your hands on the new issue by pre-ordering today. And in honor of the cover reveal, take advantage of free shipping with your purchase of two or more mags for a limited time! Cheers!